Hastanenin kurucularından olan Profesör Doktor Sait ADA 1956 yılında Kayseri'de doğdu. El ve Mikrocerrahi ile Genel Ortopedi ve Travmatoloji alanlarında uzman olan ADA, İngilizce ve Almanca biliyor. Evli ve bir çocuk babası. Sonographic assessment of transverse carpal ligament after open surgical release of the carpal tunnel. Karabay N, Kayalar M, Ada S.
Acta Orthop Traumatol Turc. 2013;47(2):73-8. DavasAksan A, Durusoy R, Bal E, Kayalar M, Ada S, Tanik FA. J Hand Surg Eur Vol. 2012 May;37(4):329-35. doi: 10.1177/1753193411423877. Epub 2011 Nov 10. What kinds of hand injuries are more likely to result in amputation? An analysis of 6549 hand injuries. Durusoy R, Davas A, Kayalar M, Bal E, Aksu F, Ada S.
J Hand Surg Eur Vol. 2011 Jun;36(5):383-91. doi: 10.1177/1753193411400520. Epub 2011 Mar 15. Epidemiology of injuries treated at a hand and microsurgery hospital. Acta Orthop Traumatol Turc. 2010;44(5):352-60. doi: 10.3944/AOTT.2010.2372. Karabay N, Toros T, Ademoğlu Y, Ada S.
Eur J Radiol. 2010 Feb;73(2):234-40. doi: 10.1016/j.ejrad.2008.10.038. Epub 2008 Dec 11. Comparison between two mini incision techniques utilized in carpal tunnel release. Acta Orthop Traumatol Turc. 2008 Aug-Oct;42(4):234-7. Turkish. Arch Orthop Trauma Surg. 2008 Oct;128(10):1055-63. doi: 10.1007/s00402-008-0626-6. Epub 2008 Apr 16. The effect of dorsal cortical comminution on radiographic results of unstable distal radius fractures treated with closed reduction and K-wire fixation. Acta Orthop Traumatol Turc. 2007;41(3):202-6. Turkish. The importance of finger extension test in the diagnosis of occult wrist ganglion. Acta Orthop Traumatol Turc. 2007;41(1):42-7. Turkish. Accidental use of the median nerve as an interposition material in first carpometacarpal joint arthroplasty. Toros T, Vatansever A, Ada S.
J Hand Surg Br. 2006 Oct;31(5):574-5. Epub 2006 Jun 27. Can we use nerve gliding exercises in women with carpal tunnel syndrome? Pinar L, Enhos A, Ada S, Güngör N.
Correlation of magnetic resonance imaging and intraoperative punctate bleeding to assess the vascularity of scaphoid nonunion. 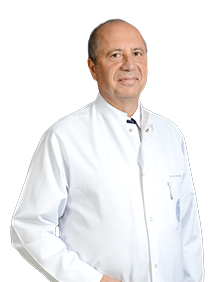 Günal I, Ozçelik A, Göktürk E, Ada S, Demirtaş M.
Arch Orthop Trauma Surg. 1999;119(5-6):285-7. Replantations and their functional results: the Turkish experience. Bora A, Ada S, Ozerkan F, Tetik F.